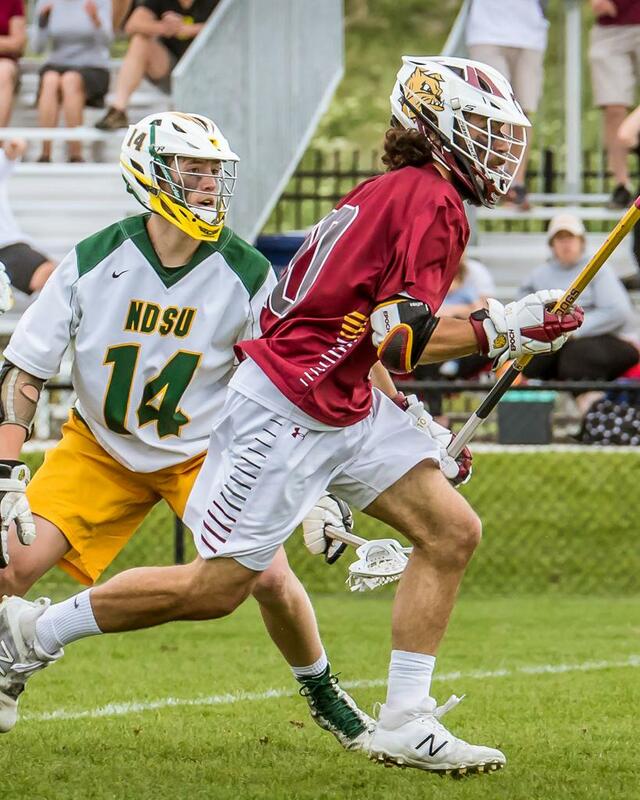 The UMD Men’s Lacrosse team recently released their 2019 game schedule and the Bulldogs are eager to begin competing. Big goals were set in the fall, and the Dogs plan to show their progress as they face many of the toughest teams in the MCLA’s second division. This year features an opening game against the defending national champions and conference rival NDSU, as well as a home game against another UMLC rival, St. Thomas. On Friday, Feb. 15 at 7:45 p.m., the Dogs will make an appearance on the opposite side of the Red River as they face the defending national champions, the NDSU Bison. These two teams met three times last season with the Bison putting one in the win column each time. The last of those meetings taking place in the MCLA national semifinal game in Salt Lake City. The vicious NDSU 10-man ride proved to be a hurdle for UMD, but after months of preparation, the Dogs believe they have what it takes to overcome. Fans can expect nothing less than an aggressive, physical game between these two rivals to begin the 2019 season. The following weekend on Sunday, Feb. 24 at 6:45 p.m. the Bulldogs face their historic in-state rival, the University of Minnesota Golden Gophers at the St. Michael-Albertville Dome. UMD came out with a comeback win against the Gophers last season when they met in late February. Based off past meetings, including a scrimmage this fall, this will be yet another highly competitive matchup. In early March the Bulldogs make a trip down to the Music City, Nashville, Tenn. There they will face some non-conference top tier MCLA talent playing Florida Gulf Coast, Kennesaw (Ga.) State, and Central Connecticut. All three teams were contenders in last season’s MCLA national championship tournament. Junior LSM, Mike Radecki, clears the ball against NDSU in last years MCLA Semifinal game. 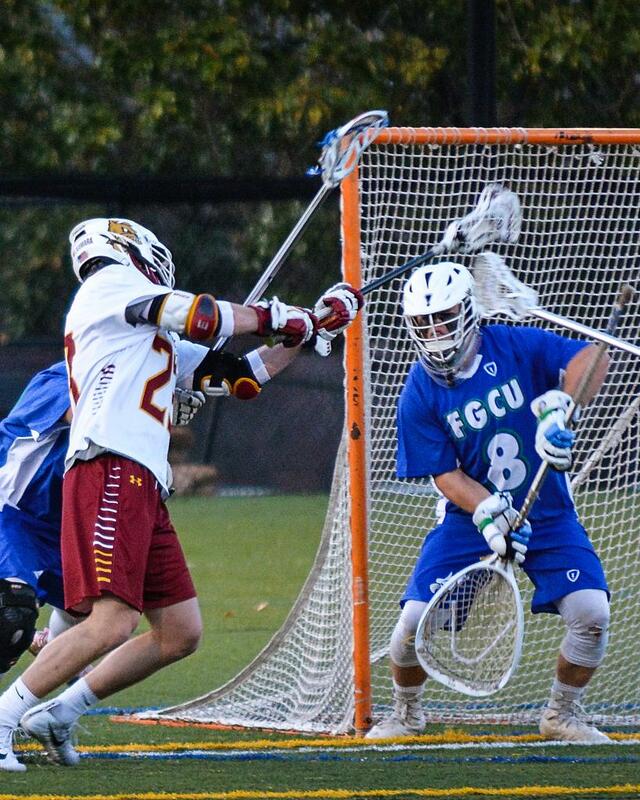 Senior attackman, Scott McNamara buries a backhand shot against FGCU. Later that month UMD meets Montana State at the East Carver County Athletic Center in Chaska, Minn. The Bulldogs lack much of a history with Montana State but are prepared for a competitive match as the Bobcats were also contenders for the national championship last year, making it to the second round before falling to NDSU. The regular season wraps up with a thrilling pair of home games on the UMD campus. First, the Bulldogs will face UMLC rival St. John’s. The Johnnies have proved to be a tough team for UMD, with the Dogs falling short in both of their meetings last year. With clear organization and discipline, the Bulldogs hope to remedy their shortcomings this year. Later in the weekend, UMD goes face-to-face with another fierce rival, St. Thomas. After coming on top the one time these two teams saw each other last season, the Bulldogs will rely on experience and confidence in this match. This year’s UMLC tournament will take place in Crown Point, Ind., as opposed to the traditional Mahtomedi venue. It will feature both D-I and D-II teams. The MCLA National tournament returns to Salt Lake City this year and will be held May 6-11.